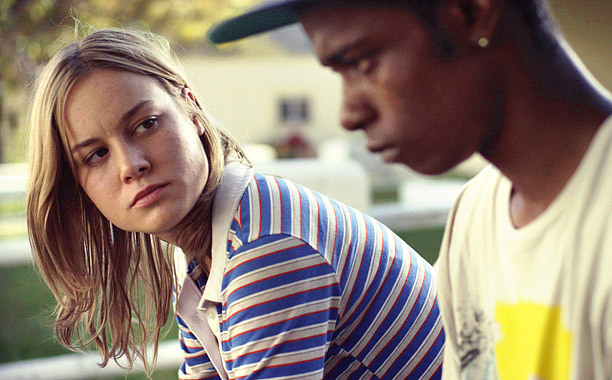 Short Term 12 is a film that teeters precariously on the verge of a “cool-Indie-sundance-esque-cliche” and one of the best films (to date) revealing the private hell that children and teens, developed enough to feel adult pain, but not to make sense of themselves and the world around them experience in the harrowing early days, months and years of whatever rehabilitation is possible for children horribly abused by their parents. It’s commonly known but strangely underrepresented in film that many of the people who work with ‘underprivileged kids’ as one new worker mistakenly calls them, are ex-victims themselves and one of Short Term 12‘s great strengths is that it places the healed and the freshly wounded in the same stark rooms watching the interplay between the success stories and the latest challenge as everyone works together toward some sort of healing. However, like many films dealing with difficult subjects, it is at its best when courageous rather than clever and because it is a film that gives the impression it want’s to be clever, it relies too often on sentimentality to scrape through its weaker moments. Grace (Brie Larson) and Mason (John Gallagher Jnr) are daily care workers in an institution that houses children whose erratic behaviour, due to horribly traumatic childhoods, prevents them from living out lives at home or with foster families. It is part of their normal day to chase screaming preadolescent and teens who run through the park trying to escape the institution, primarily because they are at some sort of zenith in their therapy, and they are struggling to deal with feelings that have risen to the surface. 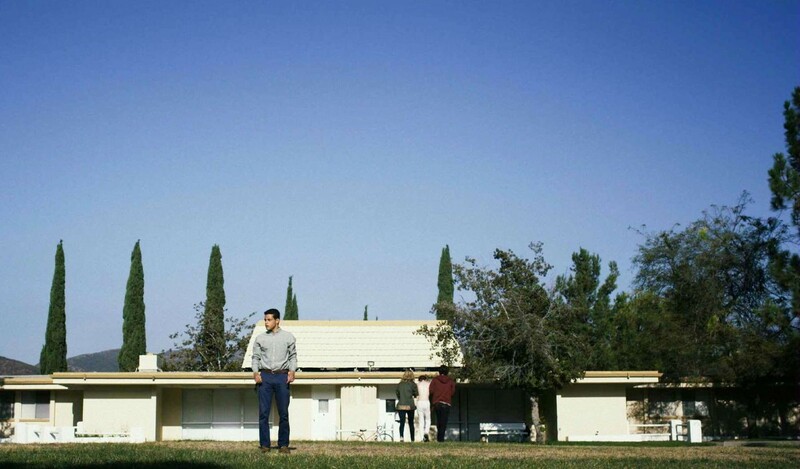 Part of what makes the young couple (a fact they try to keep from the kids) so good at their job’s is their own traumatic upbringings, the details of which emerge throughout the film. We meet Grace and Mason on Nate’s (Rami Malek) first day, a kind of stand in for Destin Cretton himself who bases the film on his own experience working in a care facility precisely like this one. Nate provides a warm and respectful comic relief as he struggles with his first few weeks dealing with the enormously difficult task of working with these kids. Short Term 12 is bookended with two stories, a nice reflection on Cretton’s own journaling of his experiences as well as an important therapy technique for staff and inmates; the staff standing in front of the facility telling Nate stories about their work. Thematically, Short Term 12 works well, with an observation of the transition from child, and in this case abused child, to responsible adult, accountable for choices and actions subtly and intellectually woven carefully throughout the film. Whatever the films flaws, Cretton is a patient writer, happy to allow his point to bubble through quietly, respectful of his audience. However, the story of Grace can feel forced at times, and even a tad contrived. It hovers under a now recognisable cloud, like Beasts of the Southern Wild and Fruitvale Station before it, of Sundance adoration that is starting to look all too familiar. A blanket of political correctness hovers over the film, sanitizing it, so that the real powerhouse moments are when the young people in the facility act like the kids Cretton actually worked with. Cretton is perfectly at home with these moment, pulling great performances from his talented young cast. A young man, Marcus (Keith Stanfield) on the verge of having to leave and make his own way in the word (symbolised by his turning eighteen) chants a rap to Mason’s drum beat that screams defiance at his abusive mother is heart wrenching and deeply private only further enhanced by a subsequent scene when Marcus asks Grace and Mason to check his recently shaved skull for the scars of abuse his mother left behind. The horror of Marcus’ reality is flawlessly evoked and it will be a rare viewer that doesn’t find themselves on the verge of tears. Equally striking is a moment when the young Jayden (Kaitlyn Dever), who had been reduced to a harrowing tantrum earlier in the day, reads a short story she wrote perfectly capturing her relationship with her abusive father. The stories of Grace and her partner Mason as they struggle to deal with the abuse brought to the surface by Jayden’s presence at the facility and Grace’s pregnancy don’t ever reach the same stretches of power. In terms of a viewing experience, this isn’t a big problem because the intensity and deep sadness of the young people and their convincing performances needs some breathing room, but it regularly falls into the prosaic, and that is a shame. Cretton isn’t as strong in his writing here, and regularly relies on cliché such as Grace pulling at the skin on finger nails and pushing away a caring, supportive boyfriend. It also seems incredible that someone with so much in common with the residents would be permitted to work with the kids without having resolved or at lest articulated their own problems to some degree. But faults in the system are another subtext and it is possible that errors of this magnitude occur when resources are stretched and multiple viewpoints surround the supposed consequence of every action. It helps that Grace is a flawed character (Cretton avoids the terrible cliché of the saintly carer) but this and the familiar battle for the soul of the child between the therapist and the warden are tropes of the subject, and compared with the scenes Cretton took from his own experience, weaken the film. A more traditional technique used by Cretton that does work is filming internal happenings from outside small rooms. Each character in Short Term 12 is presented in a box of sorts, and Cretton counters these against images of freedom, such as Grace (do ALL careres have to be called Grace?) riding her bike on empty streets, and the staff story telling in the sunshine serving as context for the inmates burst through the doors as a cry for freedom. These ideas are presented with freshness, and contribute to the viewers experience of the claustrophobia of pain and the expanse of release. These fully realised ideas expand Short Term 12 away from its problems and give it the viewing experience everyone is raving about.